Mohammed Shami and Virat Kohli laughed out on Simon Doull's comment during the post-match interview. Mohammed Shami was adjudged Man of the Match in the third One-day International (ODI) against New Zealand. 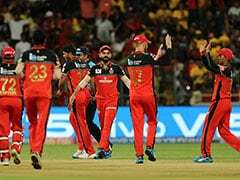 It was also the last match in the ongoing series for Indian skipper Virat Kohli as he has been rested for the last two ODIs and the Twenty20 International (T20I) series. 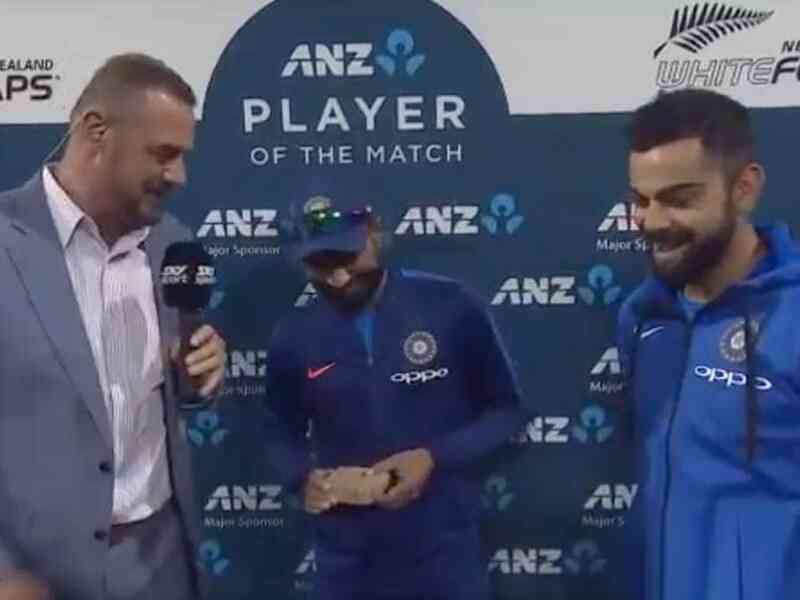 Following India's ODI series triumph over New Zealand on Monday, Kohli and Shami shared a light moment with Simon Doull during the post-match interview. Kohli and Shami couldn't hold on to their laughter after Doull said, "Your English Bohot Achaa." 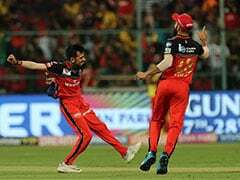 Doull's comment came after Shami explained how difficult it was to bowl in the windy conditions during the third ODI at the Bay Oval in Mount Maunganui. Shami had picked up the key wicket of Ross Taylor in the third ODI. Taylor looked in good form, notching up 93 runs before he was sent back by India's premier pacer. Apart from Taylor, Shami helped India get rid of Colin Munro and Ish Sodhi to help the visitors bundle out New Zealand for 243 runs. Kohli, on the other hand, scored 60 runs to help India chase down the target with ease. 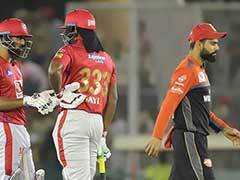 He was also involved in a 113-run stand with deputy skipper Rohit Sharma. In absence of Kohli, Rohit will lead the Indian cricket team in the final two ODIs. 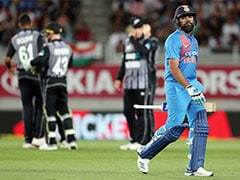 The next ODI between India and New Zealand will be played at the Seddon Park in Hamilton on Thursday.